If you've ever dreamed of becoming the King of your very own Castle and living the life of a laird, then that dream could become reality as Blackcraig Castle goes on sale. 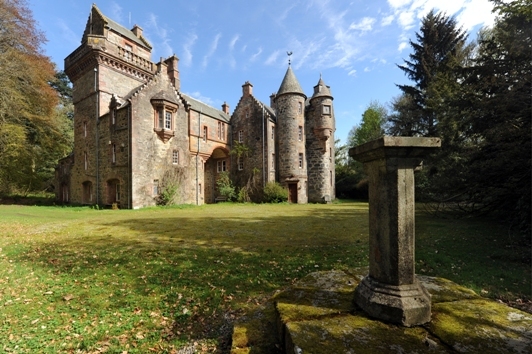 Blackcraig Castle is a romantic Scots Baronial mansion located in an exquisite setting on the banks of the River Ardle and has been placed on the market through leading Scottish property consultants CKD Galbraith. Believed to date from the 16th Century, Blackcraig Castle is a B-listed property that originated as a tower house but was significantly enlarged and developed under the well known artist and philanthropist Patrick Allan-Fraser in the mid nineteenth century. 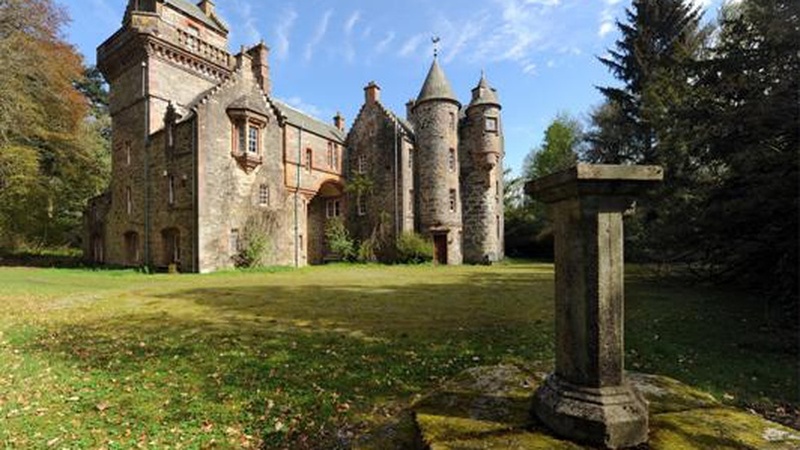 Although the property now requires significant refurbishment, Blackcraig Castle still encapsulates all the fantasy of the Scots Baronial style with its crow stepped gables, conical towers and turrets completed with the odd gargoyle and stone canon. Inside, the property is based across five floors and has 10 bedrooms in total making it a splendid family home with an abundance of space for entertaining guests. The flair of the exterior is matched internally, with Blackcraig boasting a wealth of period features including stone turnpike staircases, astragal sash and case windows, magnificent gothic stone fireplaces, wood panelling, fine ornate plasterwork and panelled doors with original door furniture. The dining room on the ground floor enjoys a double aspect, with a wood panelled ceiling and an impressive gothic stone fireplace. Upstairs, the first floor drawing room - a quintessential feature of large Scottish country houses - is a striking room, also with a double aspect, tower room and significant stone fireplace. The morning room, centred on an elaborate fireplace, lies beyond, with its double aspect offering the most wonderful light. The accommodation, most of which is reached by a number of charming turnpike staircases, is serviced by two large bathrooms plus a shower room and several cloakrooms. The highest room in the property is the observatory, which leads directly out to the parapet with its stone handrail and from where the most outstanding views are commanded. Emma Chalmers, who is handling the sale of Blackcraig Castle for CKD Galbraith, said: "Blackcraig is a most romantic Scottish castle that enjoys a delightful setting and offers the purchaser a great opportunity to renovate a real gem." Moving outside, the grounds of Blackcraig Castle provide a wonderful backdrop, together with offering superb amenity and shelter. Immediately surrounding Blackcraig is an extensive sweep, beyond which is a path leading very conveniently to the walled garden. This garden, with its stone wall and integrated turreted garden store and folly, is utterly delightful. Beyond and to the south are two parkland fields known as the Castle Park and the Knowie, inter-dispersed with mature trees. There is also a further area of woodland to the rear of the castle. The subjects are being sold with trout fishing rights of approximately a half mile single bank stretch of the River Ardle.